FOB is the acronym for “Free on Board” or “Freight on Board” and is an internationally recognized commerce term. If you need to buy or sell goods from another country everyone involved in your commercial transaction will know how to define FOB. But here’s a thought, let’s hypothesize that you’ve sold goods to a client in another country. The deal has been closed and you’re happy with your business transaction. You get in touch with your freight forwarder who will organize the shipping of your goods and all the paperwork involved. The collection date has been established and the carrier comes to your warehouse to pick up the order. So far, so smooth… the goods leave your warehouse but during the transit the goods, somehow, get damaged. They’ve left your premises but haven’t yet reached the client. Who is responsible for the damage caused? When and how do you establish that the ownership of the goods has transferred from you, the seller, to the buyer? How do you organize payment of fees? If there are additional costs along the route to the client, who pays them? The goods appear to be in a no-man’s-land while in transit because ownership appears hazy. The meaning of FOB can be defined within this scenario. If you use FOB Shipment terms - the question of ownership is automatically resolved, as FOB determines who is responsible, at what point and outlines the risks involved. So, FOB shipping is a legal way of deciding when exactly responsibility for goods is transferred. It settles any legal uncertainty or concerns regarding liability, possession and risk. FOB means that the price of the goods includes delivery to a specific (pre-agreed location) which the seller pays for, after which the onus is on the client to pay. How does it affect control of goods? Free on Board shipping can be either “Origin” or “Destination”. When we refer to an FOB Origin it means that as soon as the carrier signs the Bill of Lading, control (and ownership) of the goods is passed to the buyer. This means that any risks during transportation are his/her responsibility. Any claims for loss or damage to goods is the responsibility of the buyer. The other term, FOB Destination, means the opposite. The person selling the goods, and original owner, retains ownership while the goods are in transit. Do you know your shipping acronyms? What does FOB mean? And COD? LTL? Adding acronyms to the already complicated and somewhat confusing shipping terms doesn’t really help! Often the shipment term FOB is confused with the term “Freight Collect” – well, they both have the word “freight” and they both relate to shipping, right? But they have very different connotations. As explained above, FOB or Freight on Board, determines ownership of the goods. Freight Collect, on the other hand refers to who pays for the shipping… quite a different matter altogether! 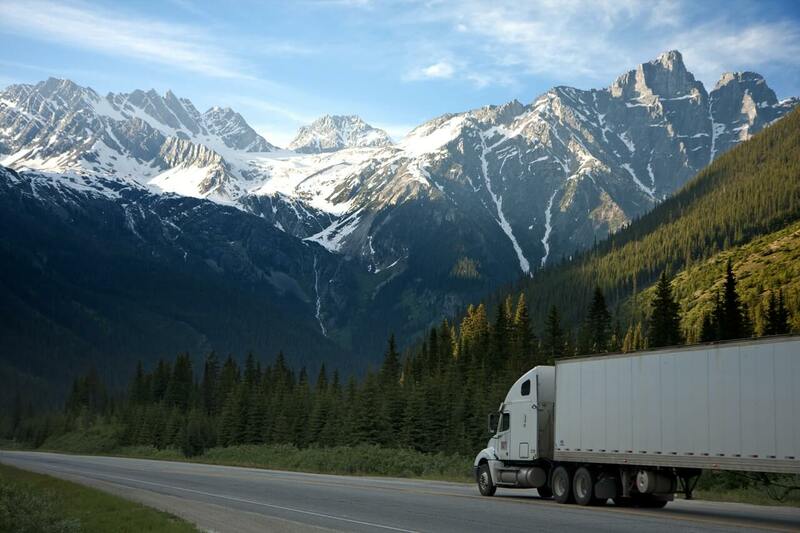 When Freight Collect is stipulated, freight charges are the buyer’s responsibility and payment can be made depending on the terms agreed with the carrier. Anyway, back to our acronyms: If C.OD. is requested (Cash (or Collect) on Delivery) referring to payment on delivery, means that the buyer will hand over money to the truck driver. While COD is still widely used, it only refers to payment of the goods being delivered and doesn’t refer to shipping costs. (Of course, shipping costs can be included in the invoice by being added on to the price of the goods, this way the seller does not pay any extra costs). When COD is the acronym of choice for a delivery, the payment methods can also be specified, meaning that sometime cash only will be accepted, or other methods such as check or certified funds, depending on the agreement between the seller and the buyer. COD terms are beneficial when a seller doesn’t know the buyer, or when the buyer doesn’t want to risk paying for goods before they are delivered. LTL on the other hand means Less than Truckload and does what it says. This term refers to smaller shipments, not requiring a full-sized container. The term FTL, on the other hand, refers to Full Truckload meaning a full 20’ or 40’ container is filled and is usually used for inter-continental (across oceans) shipping. Other terms within the shipping terminology include Freight Prepaid, when the seller is responsible for the freight. This payment won’t necessary be made to the carrier before pickup. They terms will be met by whatever contractual agreement exists between the carrier and the seller. And finally, we have the term “Third Party Billing”. When Third Party Billing is specified on the Bill of Lading it means that neither the seller nor the consignee (buyer) is paying for the freight charges. An example of when this might happen where the seller does not send the order to the client from his establishment, rather, he buys the goods directly from his supplier who sends the goods directly to the consignee. In this case, the BOL would stipulate “Third party Billing”, if that was the agreement, and the actual seller (who has the contract with the buyer) would pay the carrier – not the supplier and not the end customer. Maybe not so complicated after all, when you know what you’re looking at! CSA Transportation is your source for professional shipping from U.S. to Canada. Contact our team today to learn how we can help your business!